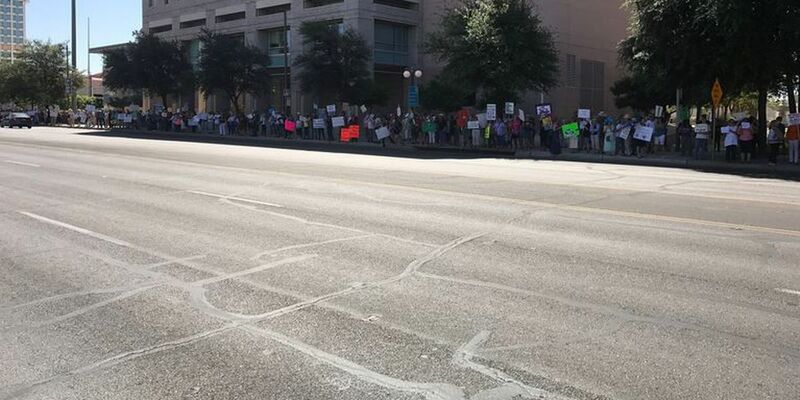 TUCSON, AZ (Tucson News Now) - Protesters have filed into downtown Tucson for Tax March, a national movement demanding President Donald Trump release his tax returns. Initial reports indicate that about 1,000 people are participation locally. On their website the group says the President must release his tax returns in order to maintain transparency. We believe that public servants must be accountable to the people who elect them. The public has a right to understand the financial relationships and potential conflicts of interest of their elected leaders." The Associated Press reports that marches are taking place in about 150 cities nationwide.